Robo-advisers have been capturing an increasing share of the financial services business. In financial services, rapid changes in how securities are traded, monitored and researched have made it imperative for financial advisers to understand the impact of these changes on how they conduct their business. Advisers need to adopt the use of technology to help them develop and sustain client relationships. As markets become more complex and opaque to the average investor, advisers need to provide transparent advice and relate to their clients in a personal way. As the population continues to age, it is also vital to provide an extra level of scrutiny to ensure that older people are not subject to financial mismanagement or abuse. One principal advocated by industry leaders is the concept of “one-to-many,” which describes how essential information such as blogs, marketing and research can be pushed to a wider clientele through smart use of social media platforms. By engaging digital conduits like texting, emails, home pages and LinkedIn, advisers can create a top-of-the-funnel demand generation mechanism and encourage feedback from their networks. For some financial advisers, particularly industry neophytes, the notion that personal relationships override technology and information flow may seem confusing. Improving client relationships should be an ongoing process. While clients want to be informed, they are more concerned about having their financial advisers take a personal interest in them, their families and their interests. One successful firm characterizes this as understanding what “book” a client represents. By supplementing professional knowledge with an understanding of a client’s interests can take the adviser-client relationship to a new level of trust and understanding. Surveys and studies indicate that likability and trust are better indicators of adviser success than professional knowledge. It may be the case that clients assume that advisers have a baseline of industry knowledge and that their personal needs are paramount. Technology can complement client management in many ways, and when properly harnessed, it can lead to successful business development. Finding a customer relationship management (CRM) tool that is intuitive and properly scaled to your practice is the starting point. A CRM can help keep personal details such as birthdays, hobbies and personal financial goals for clients easily accessible. It is also advisable to be prepared to get personal with a client during an initial meeting. Another way to use technology effectively is to integrate it into administrative tasks to automate workflow processes. Having automated workflows can help a firm with efficiency, client management and marketing. Advisers who have access to digital tools that link up with its CRM have better access to data, and better quality data to help them make decisions. Also, automated tools reduce or eliminate the need for financial advisers and their staff to perform manual tasks. Technology can also be used to “cook” compliance into your other tools. By actively tracking client engagement, advisers will never forget a birthday or milestone such as a client’s child going off to college. These little details are critical for client retention and long-term satisfaction. Some studies have even indicated that a close adviser-client relationship is more resilient to occasional negative portfolio performance. It can be a challenge to probe for clients’ personal information and still keep a healthy, professional approach. There is a difference between engaging with clients and being meddlesome or being pushy about selling products and services. A consultative approach that asks as many questions as it provides answers maintains the proper equilibrium. A professional approach does not mean being rigid. Over time, shifting demographics have been mirrored in the clientele for financial services firms, and it is imperative that advisers develop an appreciation for cultural differences and approaches to investing. Maintaining an open mind to client ideas is also a way for advisers to explore new investment realms and foster relationships. Technology particularly impacts the last two categories. Sophisticated strategies developed around SEO, keyword optimization and data analytics have made it easier to convert inbound prospects. 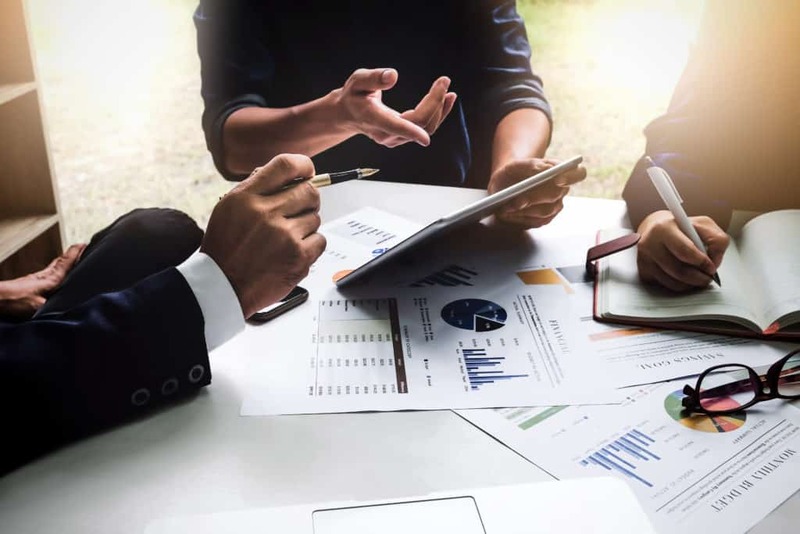 For outbound strategies, financial services firms have found that having business processes in place that address how to optimize client contact and advertising are excellent tools. But don’t rely on automation to the degree that you neglect your relationship with your clients. At Securities Training Corporation, we value our client relationships above everything else. We believe that investing requires a hands-on approach that is tailored to specific client requirements, and we invite your questions.